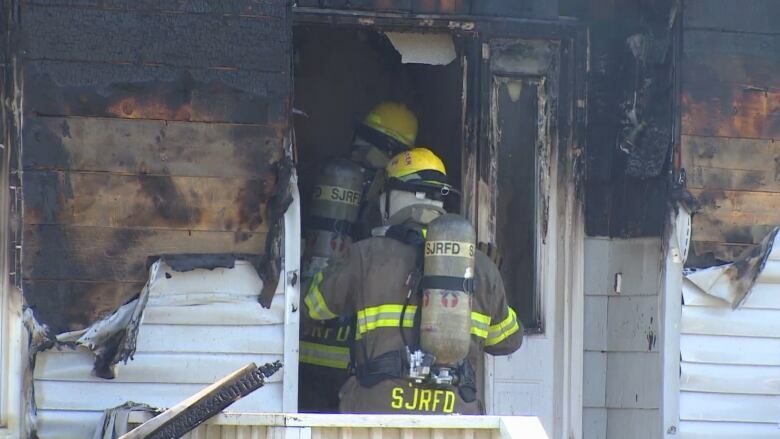 The fire began on the home's patio, said the St. John's Regional Fire Department. 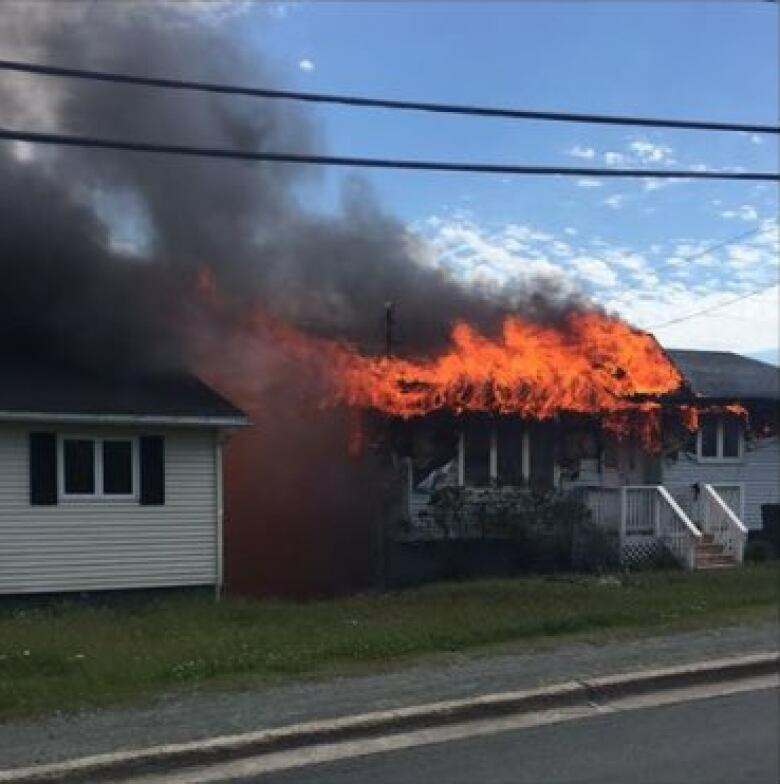 When a bungalow on Topsail Road in Paradise caught fire Tuesday afternoon, the man in the basement was sound asleep. If it wasn't for his next-door neighbour Sean Dobbin, he might not have escaped in time. "Around two o'clock today, I heard some crackling noises, and I ran out to the back of the house and the saw the whole back of the house was totally engulfed in flames," said Dobbin. "I ended up running down back and started knocking on his back door. I figured he was still in the apartment and sure enough ... he was asleep." Dobbin said it only took around 5 minutes for the fire to spread out of control. "I wouldn't say there's much left of that house now, there's not a thing." he said,. According to the Canadian Red Cross, the man's mother lived upstairs and wasn't home at the time of the fire. Both are staying with relatives, and the organization helped with emergency purchases of clothing and food. 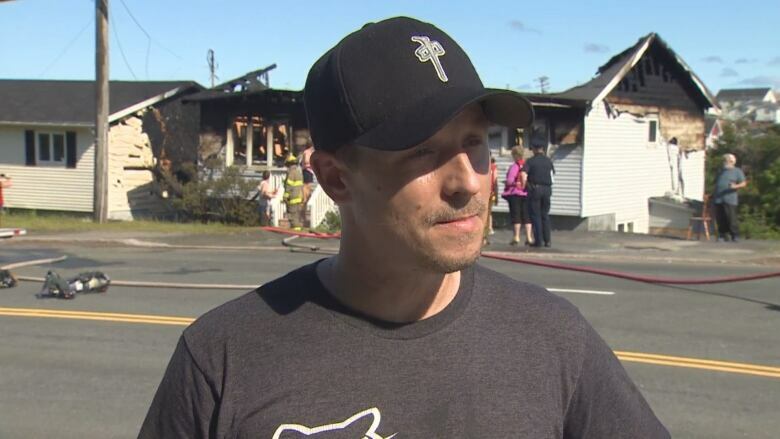 Acting St. John's Regional Fire Department platoon chief Barry Burke said his crews ​arrived on scene within "minutes" to tackle the fire. Fire Captain A.J. St. Croix said it took "no time at all" for the situation to develop into a "full-blown house fire." According to fire crews, the blaze started on the back patio of the house. The main bungalow was severely damaged in the fire, said Burke, and homes on either side of it suffered some heat damage as well. The upstairs tenant was not home at the time of the fire. 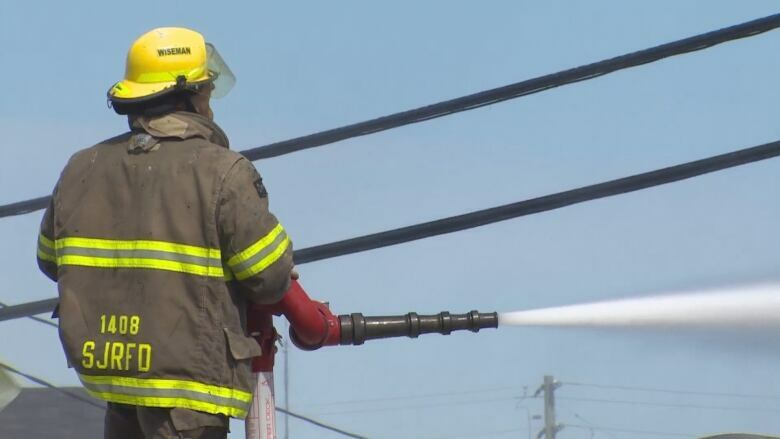 The regional fire department was also at a small grass fire on Kenmount Road earlier Tuesday, just a day after a major forest fire swept through woods on the fringes of Kenmount Terrace, damaging 11 homes.